I received 3 plates from BornPrettyStore and all 3 came with a cute cover, blue foil on the front and a rubber back on the large plates, a normal back on the round one. The plates work like a charm, and the size of the full nail images is nice too. The average sizes of the full nail images are 1.5x2.1cm (round plate), 1.45x2.0cm (lace plate) and 1.4x2.5cm (floral plate). I'll of course add them to my comparison later on as well! And here's a closer look at these plates! I used the bottom image and the matching small one for today's mani. 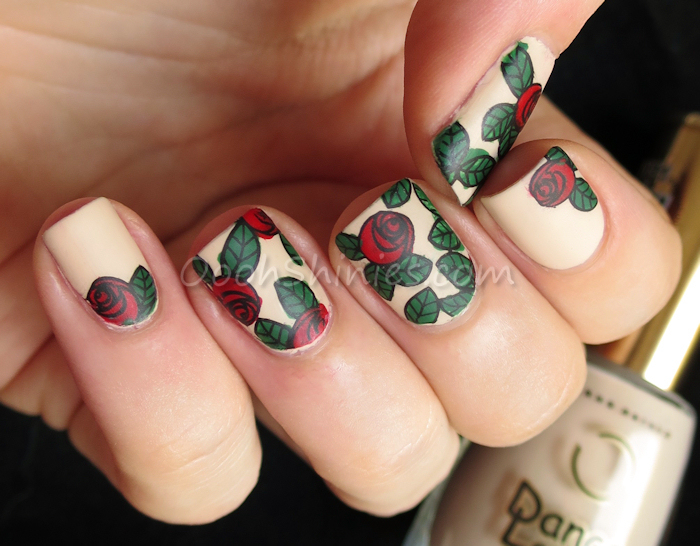 I like the variation that this plate offers, while staying with the rose theme! 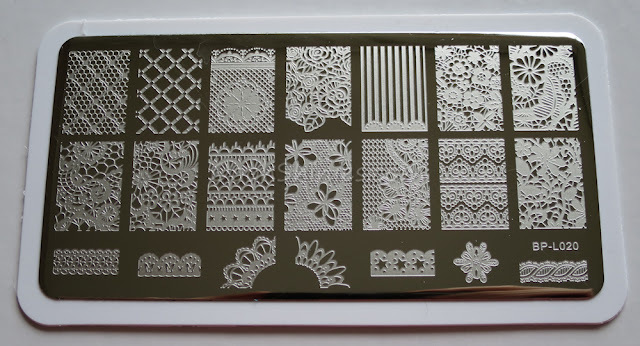 If you're looking for a lace image, this plate should do the trick for you, that's a lot of pretty lace designs right there! The 2 at the top left, and the one with the vertical stripes, seem perfect for a little extra on top of it. 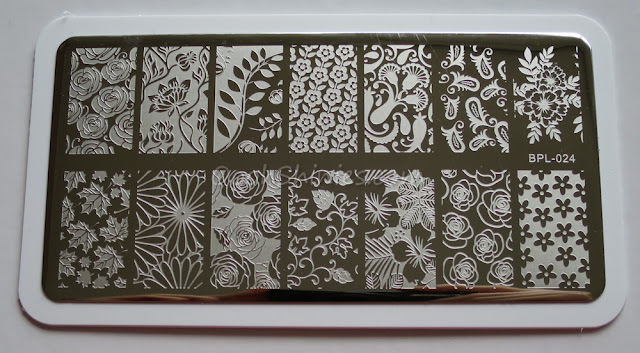 Maybe a nail sticker or decal, or perhaps one of those smaller roses from the plate above? If you do like roses but don't want a plate full of it, this one has lots to offer too! I like the top right design, and the bottom left, that'll be perfect for the coming season. And the one in the middle of the bottom row, pretty! Those 2 on the top row (number 5 & 6 from the left) might match well together, if you like some variation on your nails. 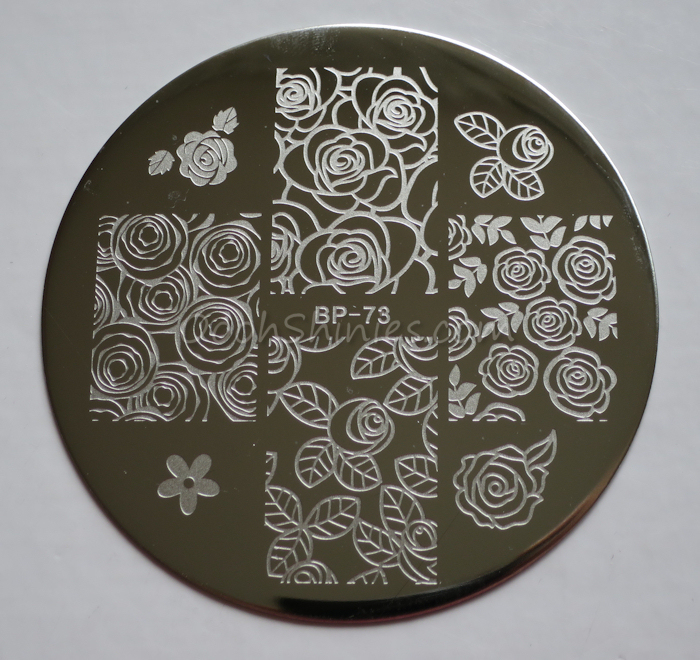 As I said above, I used a rose design of the round plate and went for a reverse stamping. I stamped it in black, but kept it on the stamper, then I colored it in with some nail art brushes and 2 more stamping polishes, before turning it into a decal. I think you can stamp it on the nail right after coloring as well, if you press a bit harder on the stamper and hold it in place on your nail for a little bit. But I wanted to see how it looked with the right side up first, so I used some top coat (Dance Legend Go Fast gave a nice, thin layer for this) to turn them into decals. And it was a good thing that I did so, because some didn't turn out as well! I noticed that you can best use quite a bit of polish on your brush to color the design, if you use too little, the brush might end up picking up the stamped image (in my case, the black outlines). 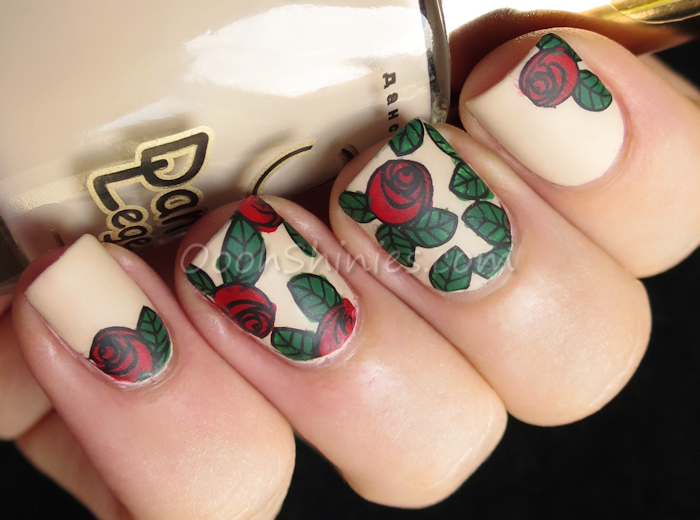 And don't spread the color too much, else it might mix with the stamped design, which created dark red roses without black lines, haha. So just appying a decent amount of color worked best for me. Dance Legend #1031 with Konad Black, Red and Green and BornPrettyStore BP-73 and Dance Legend Top Satin. What do you think of these plates? 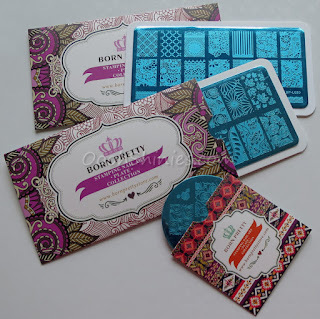 And have you done any reverse stamping? If so, I would love to see it! Links in comments are blocked, but you can upload an image with your comment as well, please feel free to do so :D Thanks for looking!